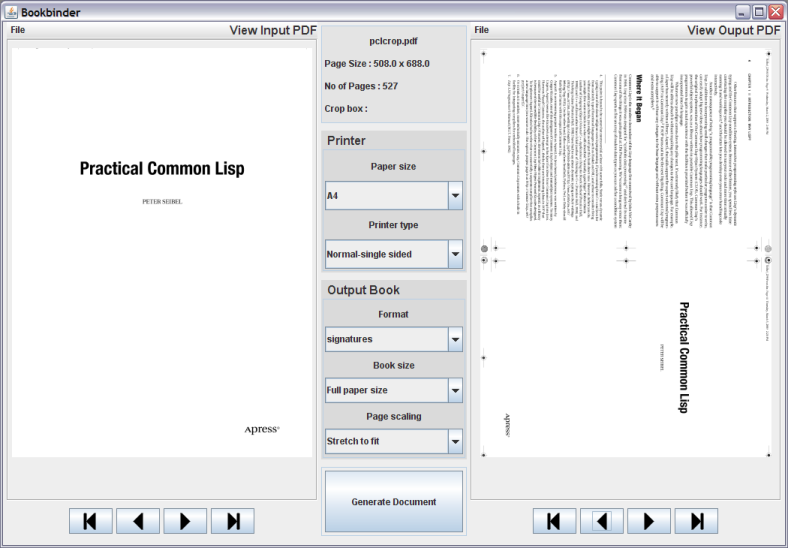 Today I recommend a free open source program, bookbinder, with it, you can easily create a bindable book from a PDF document. Bookbinder is a program that will convert a PDF document into signatures suitable for traditional bookbinding. While there are a lot of programs on the net that will create a single booklet from a small document, I couldn’t find one that would turn a 500 page novel or textbook into several signatures. So I had to write one. The chosen PDF is split into chunks, the page order of each chunk is rearranged, then the pages are placed two to a page in a new PDF. After printing and folding, each bundle of sheets should be a correctly ordered signature, ready for binding. The program does steps 1 and 2. You have to do the rest to create a finished book. and it support 3 formats, booklet, perfect bound, signatures. If you like it, please visit here for details and download it.